Puxsutawney Phil saw his shadow. More winter, folks. 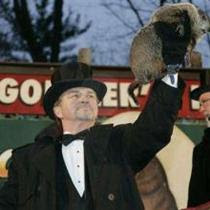 However, I'm still up for celebrating Groundhog's Day, that most Freudian of all holidays.